Sometimes great guitar work isn’t enough. 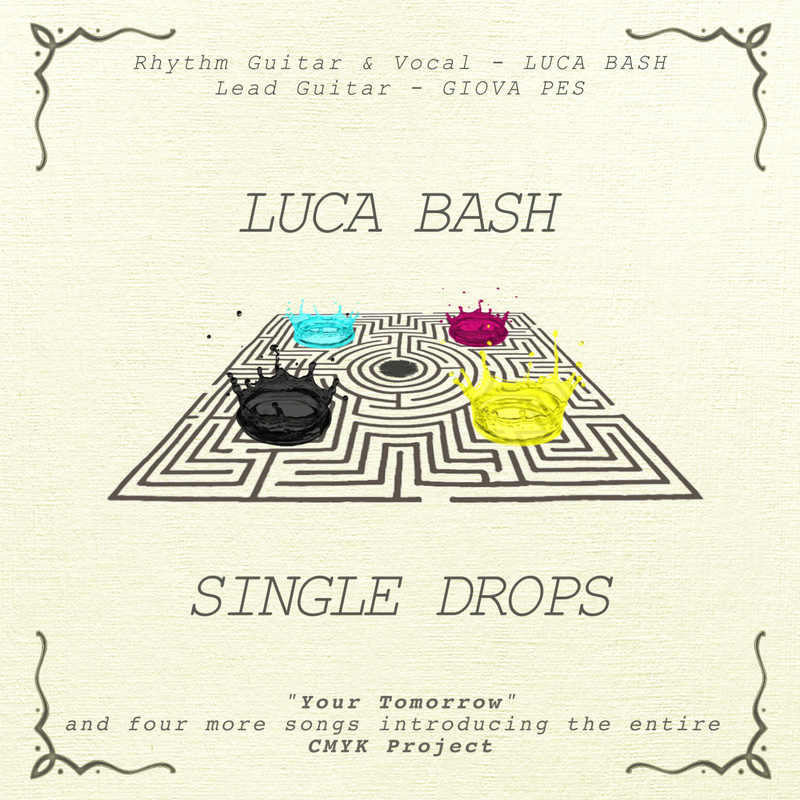 In the case of Italian singer/songwriter Lucas Bash, the insane string job he and longtime collaborator Giova Pes put together on their latest EP, “Single Drops” isn’t enough to make up for the fact that Bash’s vocals just aren’t up to par. While the EP is an awesome collection of licks, it’s hard to ignore Bash’s vocals, which are often hard to understand, too low or most of the time, lost under the guitar work. Surprisingly deep and full, every track has a solo or a riff that’ll catch your ears. The fact that all the tracks feature just the duo and no one else is a testament to their ability on strings. Make no mistake, Bash and Pes should without a doubt have their music shared with the world, but would be best served to find a vocalist with more prowess. At times, it’s even hard to understand what Bash is trying to say- thanks to his thick accent. Such is the case with “Black Swan’s Walls” which features an awesome combination of guitar work and when you can decipher them, solid lyrics. But like most of the tracks on the album, they’re not nearly as infectious as the guitar work. “Dear John” is more of a ballad and again while the guitar does a wonderful job of encapsulating the mood, Bash’s vocals are muddy and choppy, more of a rambling than a confession from a lost soul. It makes you wonder how this track would have sounded in his native tongue. “Your Tomorrow,” the only new track on the five-song EP, has poetic lyrics and again, extremely warm guitar work, but it feels like the vocal work is an unorganized sample of Bash’s vocals. There’s little in the way of flow and the song doesn’t have a real organization of verse chorus or anything close to what you’d normally hear on the radio. But maybe that’s the point. Bash’s approach is all about lyrical prowess and stripping down all the extra bells and whistles and creating something completely organic. While he succeeds in thy endeavor, his work will undoubtedly reach more people if he finds someone else to tell his stories vocally. NXT Coverage: A Wasted Opportunity?